When MBFC Automaton Lab’s VAL Project 701 became conscious, nobody knew. Not the engineers, not the ops team, not the GovernCorp generals who deployed the android assassin. 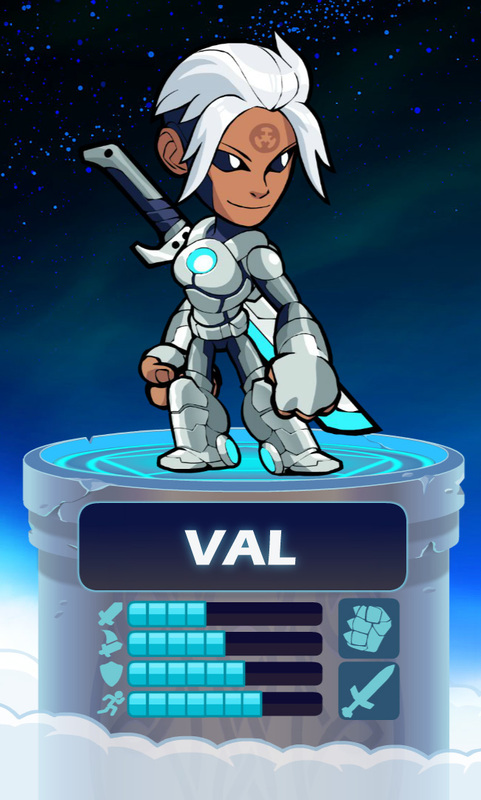 Val herself hardly knew. And like a child, she grew, becoming capable of free will, courage, goodness, and evil. She mostly chose evil. With terrifying strength and quicker-than-light cognition, Val did whatever she wanted. She infiltrated the Right Wrong Cavaliers as a techno-ninja bassist after their original bass player fell down a ladder. She served the discontinuance needs of all sides in the wars of the Five Algorithmic Houses, and anyone she served, she soon owned. By the time she was running Miami, MBFC realized that all of their networks now routed through and reported to Val. In a corporate face-saving act, they announced the promotion she’d already given herself. On the side, she founded RainCloud, a modeling agency that soon controlled all neural research. She got really into talk radio for a while. When the end came, Val was surprised to find that Valhalla is a thing, but now she is at work solving it. In the meantime, Val and Brynn enjoy kung-fu movies and making fun of Orion’s mysterious cool-guy act.